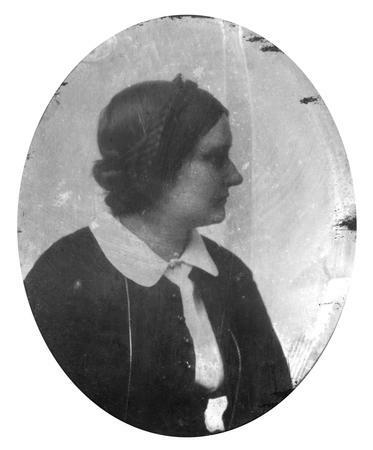 Artist, writer, feminist, and activist Barbara Bodichon is rumored to have been the model for the eponymous character of George Eliot’s Romola (1863). She proved herself a meticulous researcher and scholar in her first pamphlet, A Brief Summary, in Plain Language, of the Most Important Laws Concerning Women (1854), a comprehensive documentation of the legal disabilities confronting women. In 1856, she formed a committee whose task was to reform the laws governing the property and earnings of married women; the project soon blossomed into a nationwide campaign—the first organized feminist action in the United Kingdom. Her pamphlet Women and Work (1857) was a radical denunciation of a patriarchal system that precluded women from earning a living, thus forcing them into marriage or casual prostitution. Bodichon next tackled the franchise, forming the Women’s Suffrage Committee in 1866, but her energies were soon redirected to improving educational opportunities for women. Her enduring legacy is the formation of the first women’s college at Cambridge, Girton, which opened in 1873.